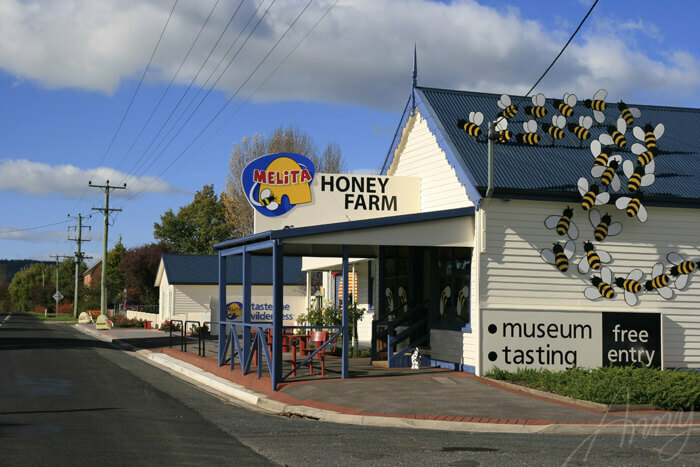 There is a piece of a fairytale created by a lovely family in a small town of Chudleigh in Tasmania. 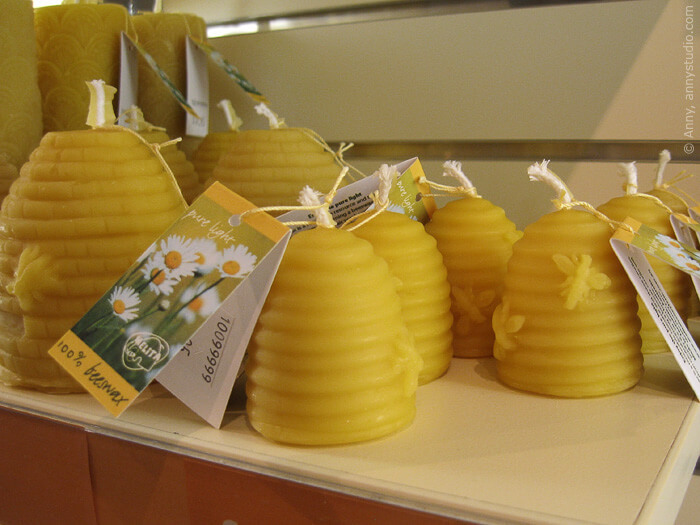 The honey shop looks amazing: very tidy, cosy, beautifully decorated, offering a huge range of honey, artisan nougat, skin care products, beeswax candles, and even a bee-keeping museum! 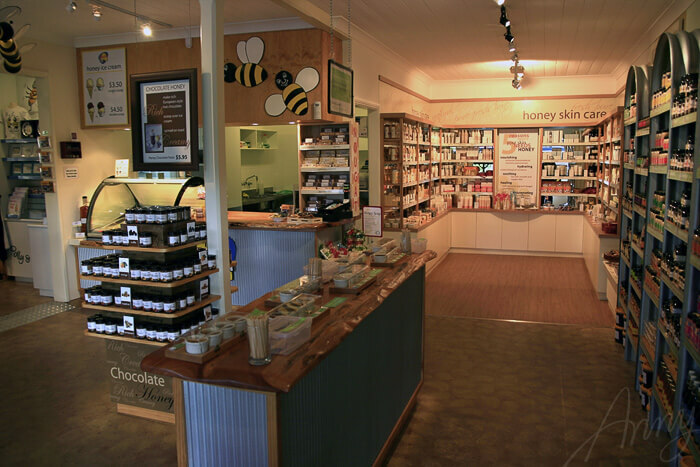 I drove all the way from Hobart to Chudleigh for two reasons: to see Tasmania and to visit the Honey Farm, both well worth the drive. 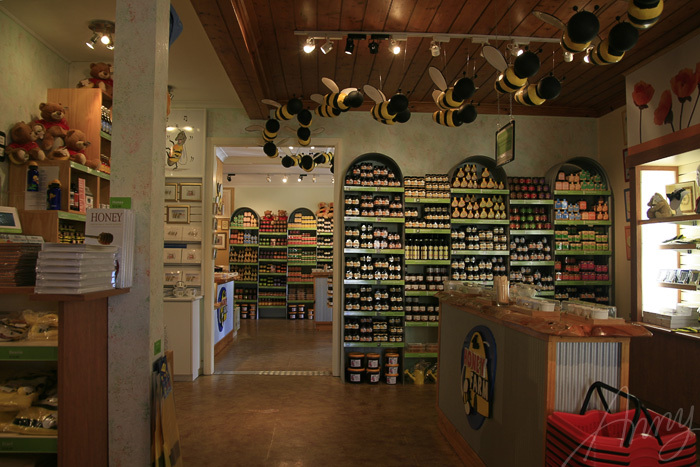 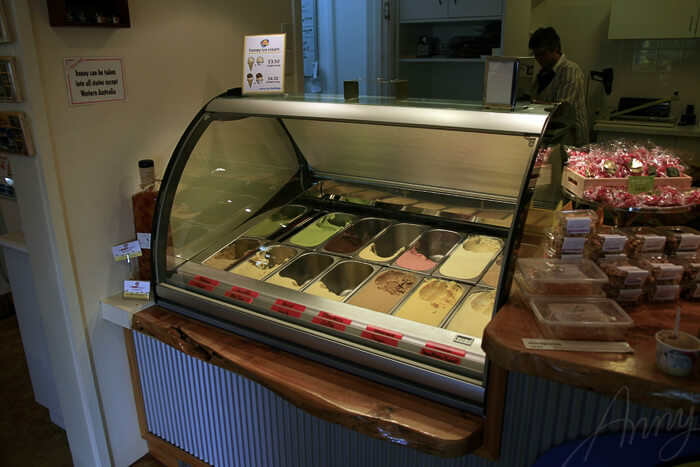 Melita Honey Farm shop — the sweetest attraction in Chudleigh! 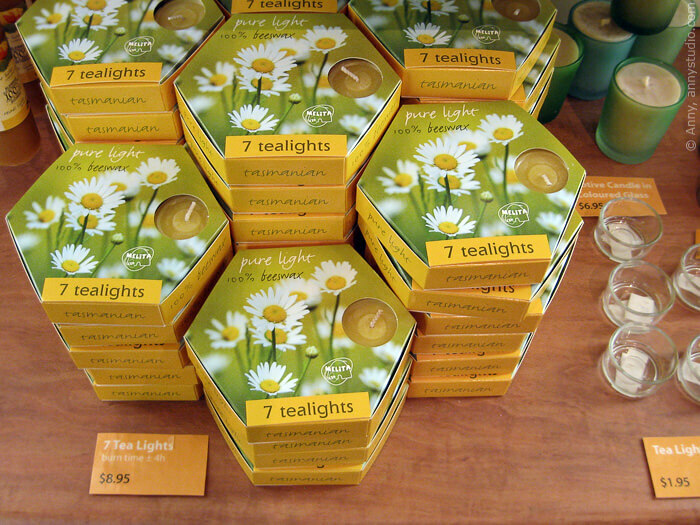 the wick is not too long (carefully trim the wick to 5–7 mm prior to lighting the candle). 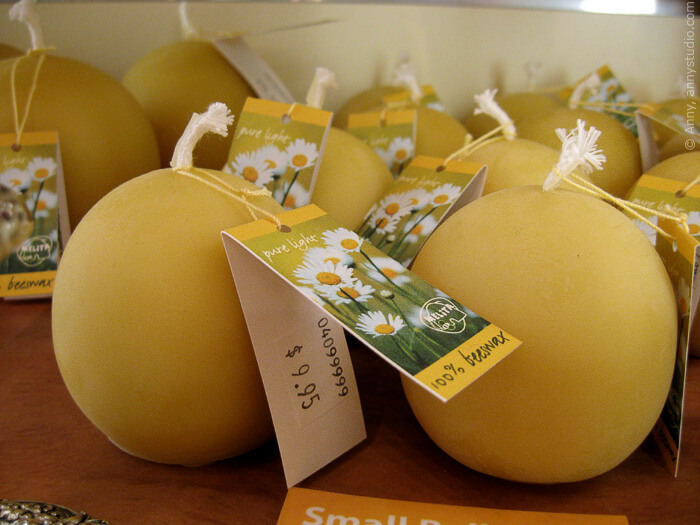 It is better to extinguish candles by pushing the wick into the melted wax pool and then pulling it up straight. 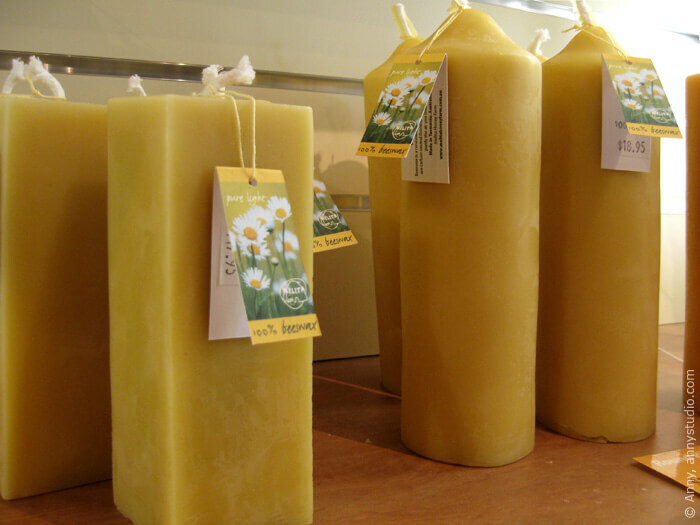 This way, there will be no smoke emitted, and the wick will stay straight so it will be easier to light the candle next time. 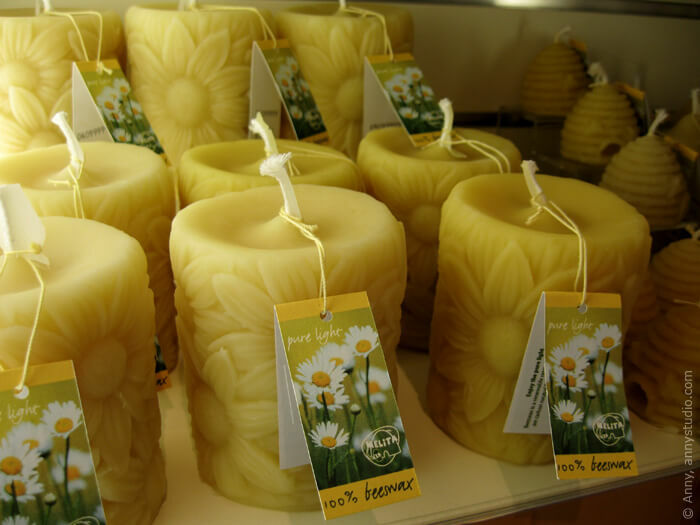 To avoid tunnelling (wax walls) and formation of dripping channels, every time a candle is lit it should be allowed to burn long enough so that the wax pool almost reaches the edges. 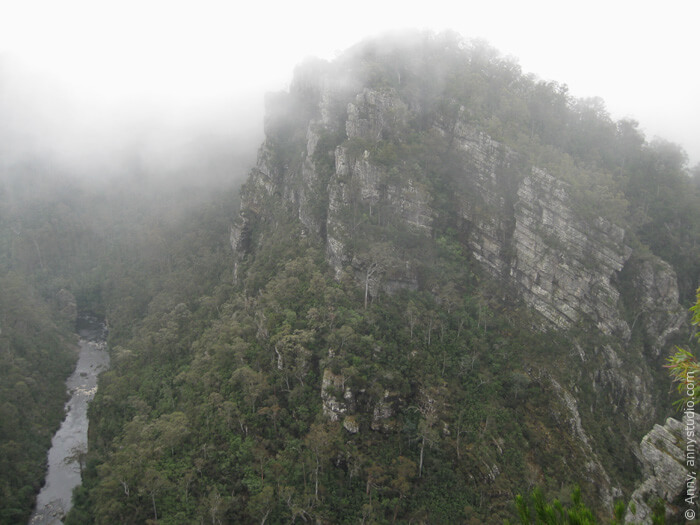 For just 5km of extra drive and 800m walk, you will be rewarded with a spectacular view of Alum Cliffs Gorge. 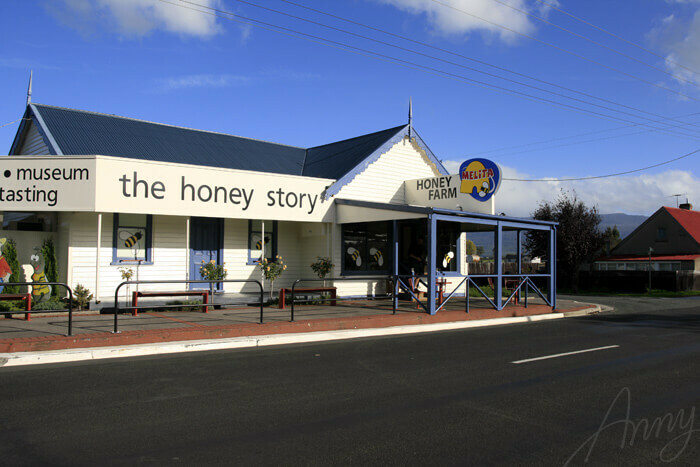 Ask for directions at the Honey Farm Shop, and don't forget to take your comfortable walking shoes for your trip to Tasmania. 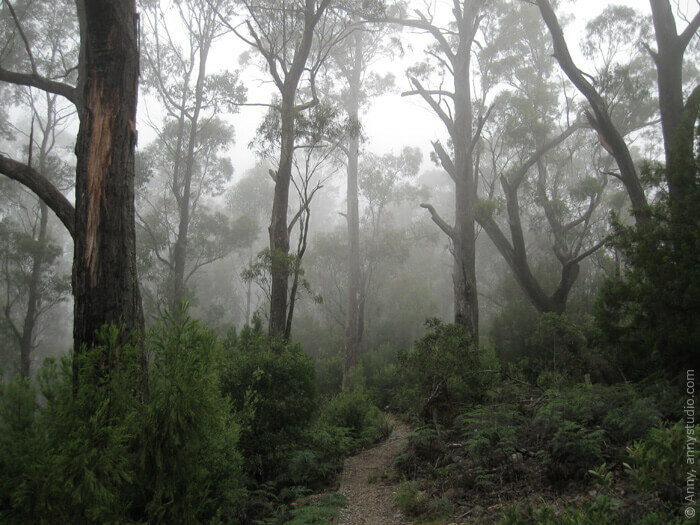 This time it was quite foggy, which added more beauty and mystery to this enchanting place.